A day after they had an exclusive release at EW.com, The CW has now given a wide release to official cast gallery photos to promote their upcoming series Legacies. Legacies takes place in the world of The Vampire Diaries and The Originals and premieres Thursday, October 25 on the network. Starring in the show are Danielle Rose Russell as Hope, Matthew Davis as Alaric, Quincy Fouse as MG, Peyton Alex Smith as Rafael, Kaylee Bryant as Josie, Jenny Boyd as Lizzie, and Aria Shahghasemi as Landon. Take a look at untagged photos from the cast gallery below! 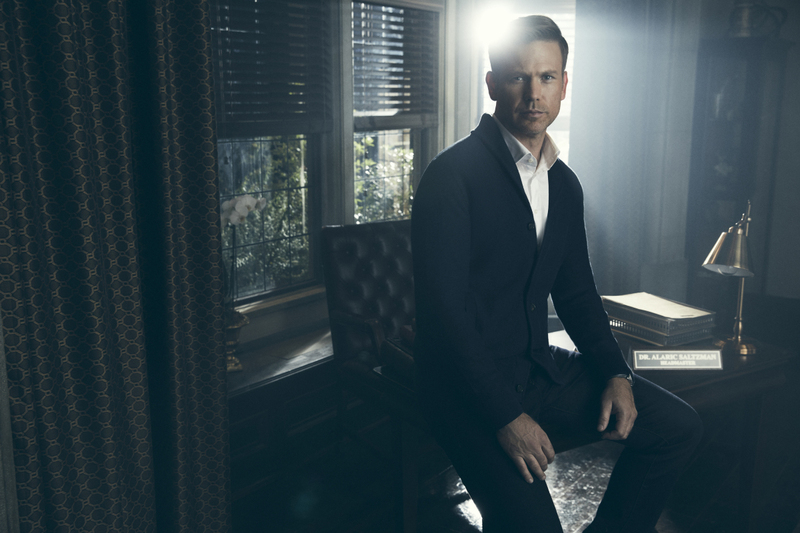 Legacies -- Image Number: LGC1_ALARIC_0008r.jpg -- Pictured: Matthew Davis as Alaric Saltzman -- Photo: Miller Mobley/The CW -- ÃÂ© 2018 The CW Network, LLC. All Rights Reserved. For the last decade, the iconic heroes and villains of “The Vampire Diaries” and “The Originals” have captivated audiences worldwide. They left an enduring legacy of love and family in their wake, which continues in LEGACIES, a thrilling new drama that tells the story of the next generation of supernatural beings at The Salvatore Boarding School for the Young and Gifted. It’s here that Klaus Mikaelson’s daughter, 17-year-old Hope Mikaelson (Danielle Rose Russell); Alaric Saltzman’s (Matthew Davis) twins, Lizzie (Jenny Boyd) and Josie Saltzman (Kaylee Bryant); and other young adults — including high-energy vampire MG (Quincy Fouse), newly-triggered werewolf Rafael Waithe (Peyton Alex Smith) and the mysterious Landon Kirby (Aria Shahghasemi) — come of age in the most unconventional way possible, nurtured to be their best selves…in spite of their worst impulses. Will these young witches, vampires and werewolves become the heroes they want to be — or the villains they were born to be? As they fight to protect their secret, their town of Mystic Falls and eventually the world, they will have to rely on ancient folklore and tales to learn how to battle their far-reaching enemies. LEGACIES is from Warner Bros. Television and CBS Television Studios in association with My So-Called Company, with executive producers Julie Plec (“The Vampire Diaries”), Brett Matthews (“The Vampire Diaries”), Leslie Morgenstein (“The Vampire Diaries,” “Pretty Little Liars”) and Gina Girolamo (“The Originals”).